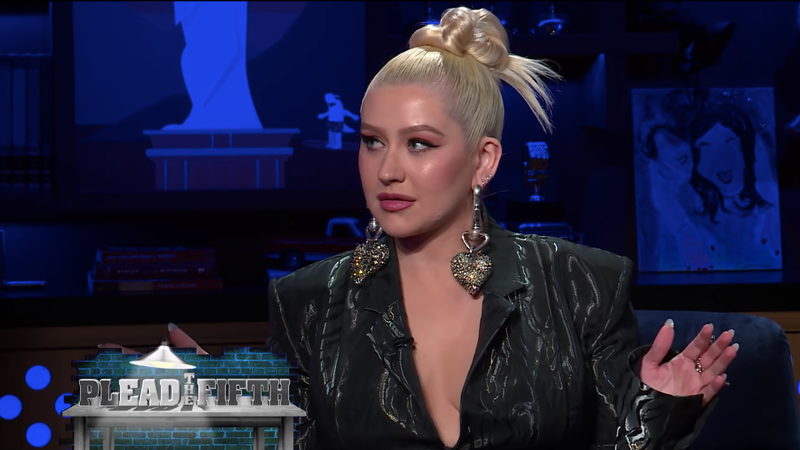 On Thursday night, Christina Aguilera appeared on Watch What Happens Live and played Plead the Fifth with Andy Cohen, a game that involves answering potentially embarrassing questions about yourself, with one chance to pass. Aguilera did not plead the fifth once, but she could not produce a compelling answer for the last question: Did she or did she not try to punch P!nk some years ago? Aguilera says that what she remembers is playing Spin the Bottle with P!nk at the club one time, and trying to kiss her, at which point, P!nk covered her own mouth with her hand and rejected the smooch. Aguilera makes a sad face, like that’s the end of it. Of course it’s not. “To be clear,” Cohen says, “you didn’t swing on her after the kiss that didn’t happen, right?” Aguilera says no. We may never know the truth. Watch the whole exchange below; the P!nk line of questioning starts around 1:45. That’s commitment to the bit. Karter has been vocal about her love for Styles in the past and wanting to work with him. Maybe this got his attention!